What does it take to be a bowler? In episode three of ‘Mind Games’ we look at the different mentalities bowlers adopt to get into their rhythm, the varied challenges seamers and spinners face and how the ‘red mist’ can descend. Leading England bowlers Jimmy Anderson and Stuart Broad talk through what they do in the build-up to a Test match and how they visualise everything from the batsmen they will bowl to, the roar of the crowd and their run up to help keep them calm on the morning of a game. 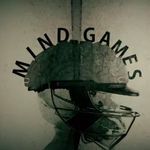 In episode two of ‘Mind Games’, we investigate why some players are able to control their nerves while others can’t – and take a closer look at the frustrating careers of two England batsmen in particular, in Graeme Hick and Mark Ramprakash. In episode one of ‘Mind Games’, former and current players talk us through elements of their pre-game routine from watching clips of themselves and opponents to using mindfulness and meditation. Jeremy Snape, former England bowler and professional sports psychologist, explains how visualisation can help while golfer Justin Rose, boxer Anthony Joshua and former rugby union player Will Greenwood talk about the importance of embracing pressure.